The U.F.O smiley might look odd at first glance, but it would look perfect as a levitation (or a whole new effect) upgrade! They could also add other space-related graphics suggestions and release it as a themed update, for example this suggestion. * the U.F.O is lit up and animated only when player is holding the space bar. It's like an aura now. UFO aura when. I'm fixing the links steadily even though my 2017 stuff was prim garbalicious. Ugh, I need to put some serious stuff in here too so it don't get blamallama'd. ANYWAY, I will return to my duties as 'that beveragehead who posts grammicks on the forums'. 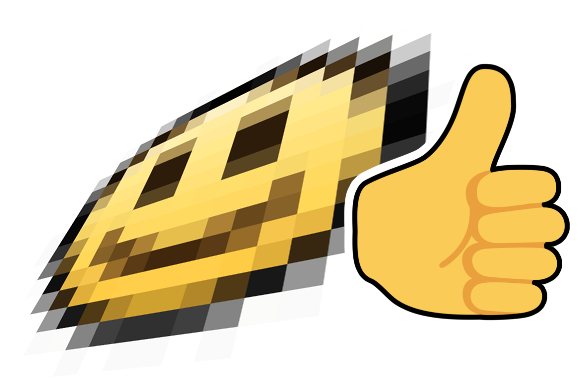 I got a few other higher priority things to do like terrible maze game collabs but the flow of smil and blok will resume shortly. A lot of these graphics are fantastic! You definitely did well on the staff. Mmmmyep that should be good to start off with. Gotta get them ol' smil-blok engines de-rustificamanated. Hope y'alls forumgoers enjoy. 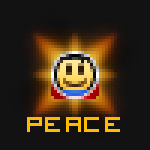 Edit: Also every smiley's formatting has been fixed and they have all been given a gold border version. Oh my goodness, those sign decorations look so shiny and pretty. I want to lick them. Cola1 was a graphic designer. But they stopped communicating with staff and playing the game for a very long time. Alroight, I guess it's time to explain that whole drama to all you sweetcheeks. And let it be a lesson of sorts I guess. Now y'see when I joined that there staff team, I was in the abyss known as college. Had to do four 'high-level' classes since I done messed up muh science exams in the previous year, and it was fair dinkum a lot a work. Enter Everybody Edits. I've been making the smils and bloks for a loooong time now. RPGMaster2000 was my role model when I was a wee brat. I'd have always hoped to follow in his steps. Well don't be blinded by yo desires. When the staff approached me 'bout giving me the chance to volunteer I was on cloud nine. At last, 7 years later, I had done it. Child me would be proud. It was good for a while, but then it started to nosedive into a capsizing ship. I started having to juggle studying for four different exams that were right around the corner, finishing my neglected and hastily put-together Graphics & Design major project, and of course all the "bit off more than I could chew" stuff with Everybody Edits. Staff Zone was often either up in flames or a ghost town, at the time. Xenonetix was definately the cornerstone of the place and it's good to see they stayed determined and became the owner. College's intense heavy workload was starting to get too much, and the idea that life was about to start and I had no clue where I was going with it was really intimidating. In the end, I caved in to my anxiety. I wanted to go back and say sorry so many times, but Mr. C. Anxiety McNoFun said 'no everyone is angry at you you stupid stupid kid you've wrecked everything' and eventually I just cut off all ties with the game. That's a load off my shoulders. I found that despite everything, I just couldn't stay away from Everybody Edits. BUT HEY everything's cool now (be optimistic! ), college is over, I'm working on getting over my anxiety, and I've spent a majority of the year honing my graphic/art skills. Phew, I'm just glad I can get back to what I love doing, BLOK, and SMIL. Uh, well, I don't actually have anything exciting to share because I was busy with birthday stuff. But I did do these simple, ordinary generic blocks last night, so, consolation prize? I just need to say it, but, sorry, compared with your other stuff this is just trash. Especially the heart looks just bad. Maybe redo it? The white line should not cross with the symbol. \/ Yes, reply below, I’m worser and anyone there will try to consider myself being a trash - but sorry, just need to say - this block pack is not higher rated than my best work. We all saw that already. The hero we don't deserve. Your points are right though, I made those extra generic blocks in no more than a few minutes, mostly for the sake of having on-topic elements. I tried to stick to only using the colours on the generic block's palette, and yeah, the silly stuff takes longer. Suit generic blocks was just a passing thought I had earlier that made me think 'neat'. I'll probably redo them sooner or later and try add some pizazz, maybe give them different colours and add a teensy bit of anti-aliasing. As for Anatoly, I'll be brutally honest, stop seething. You don't improve by farming internet attention points. The way you act around here gives me the idea that you're not actually passionate about graphics, you just want to be praised and be treated as 'da best gwafix artist evar' like some presitigous, egoistical idol. I pray you grow out of this, but that's more than likely wishful thinking. I didn't git gud by going "boo hoo I quit" every time daddy criticism showed up. I do this because I love doing it, it's fun, I enjoy putting life into my ideas. But you just give off a "nnnngh I'm a thirsty little flower, you have to water me you have to use your woots" attitude. I used to support you and encouraged you to keep on practicing, but what's the point if you're just in it for the attention? That's a very wrong way to think about your hate situation. If you came here to disrespect everyone who makes a bad work because you've been so in the past, leave. It's your own problem that you've been hated for very long because of your ego, and trying to devalue the work of other users just shows how you're uniquely interested in being known as the best graphics designer around, instead of actually being it. As the one who had attempted to defend some of your works in the past, I'm enormously disappointed by these posts of yours. I had expected you attempting to make better blocks, instead of just coming with your well-long-earned destructive criticism. What about, instead of coming here and insult someone else's work, make something that we can actually appreciate? Something, that you haven't done in a very long time, and judging from your attitude, will probably not happen. Seriously, do this. Try to prove this line wrong and it'll definitely help you somehow with your reputation. The community insults your work because you've refused for a very, very long time, to accept feedback and criticism. You kept throwing a tantrum every single time someone says a bad thing about your ideas, instead of just ignoring it and attempt to improve your skills by yourself. You were the one to get yourself in this situation, and I'm fairly sure that absolutely none here will appreciate you here anymore, even as an user, if you decide to take the attitude you've just showed. If you want to keep earning more hate to the point of making it make you leave once again, then go ahead. I only hope that you take the right choice. I'm stopping this conversation here. Now on the generic blocks. The heart block indeed looks a bit weird, but overall they look fine. They probably could be better if the icons were smaller, but I don't know if then the icons would be possible to be made. And I made Pipecity decorations for Pipec. I want to see what Cola1 comes with.